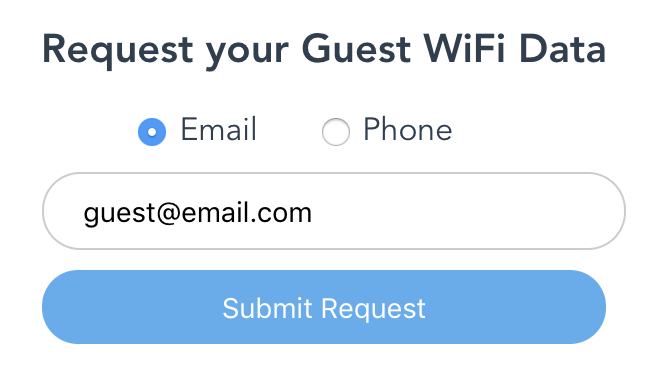 Guest Wi-Fi Users have the right to request that their personal data be erased in certain circumstances, so we've made it easy for Guests request that their data be deleted based on lookup. 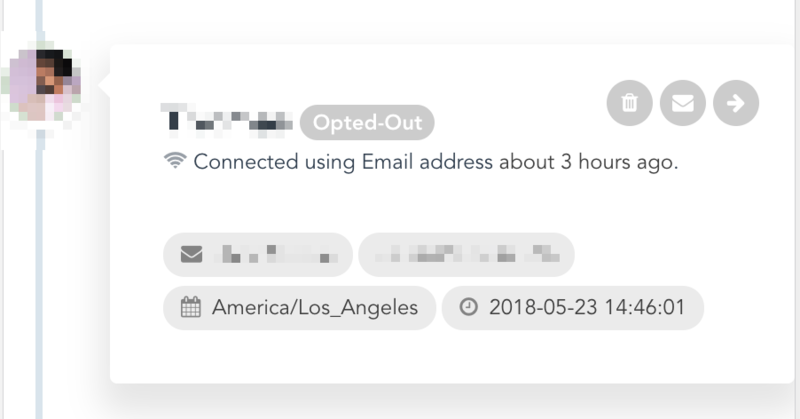 Every Channel Partner will be generated a unique link "My Profile" page on their Portal for Wi-Fi Guests to provide an easy way to view their profiles, show visits, opt-out and delete their personal information. 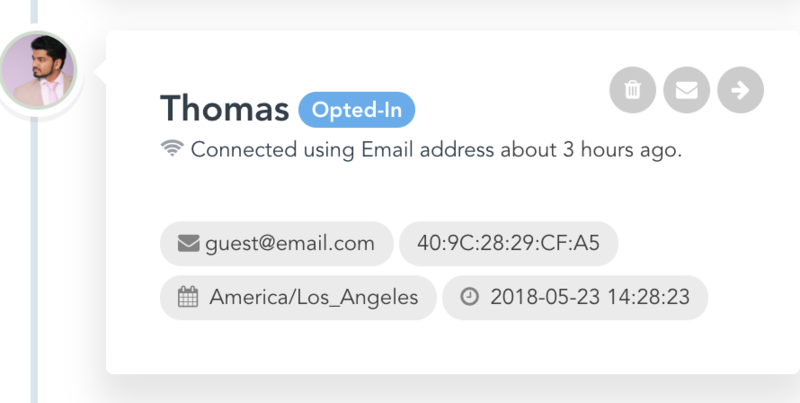 Previously connected Wi-Fi Guests can lookup their profiles based on their email used to connect. Previously connected Wi-Fi Guests can lookup their profiles based on their phone number used to connect. 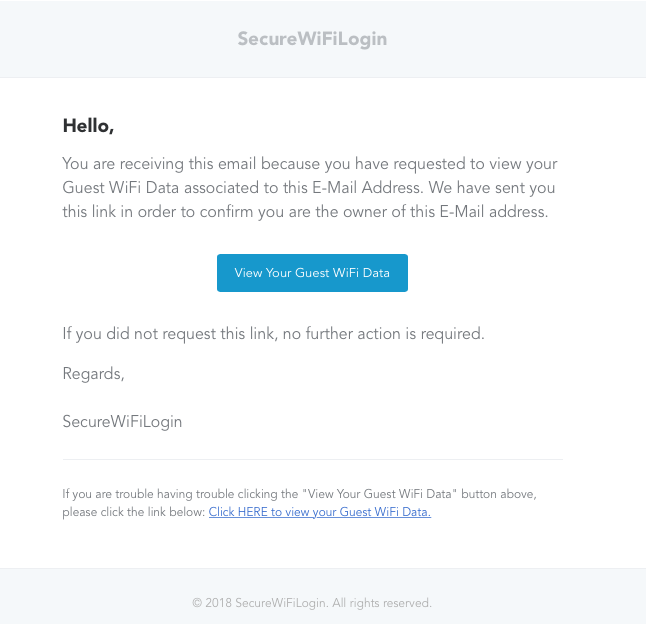 Confirmation message after a Guest Wi-Fi User enters a valid email or phone number. Note: "SecureWiFiLogin" is replaced with the Legal Company Name that you have entered in your Branding section. 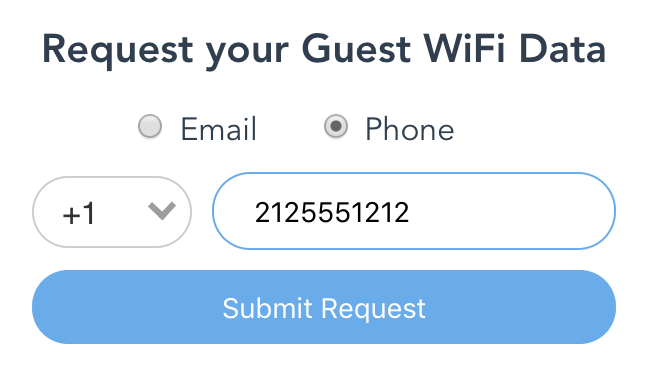 After clicking the link received, each Guest Wi-Fi User will be able to view their data profile(s). 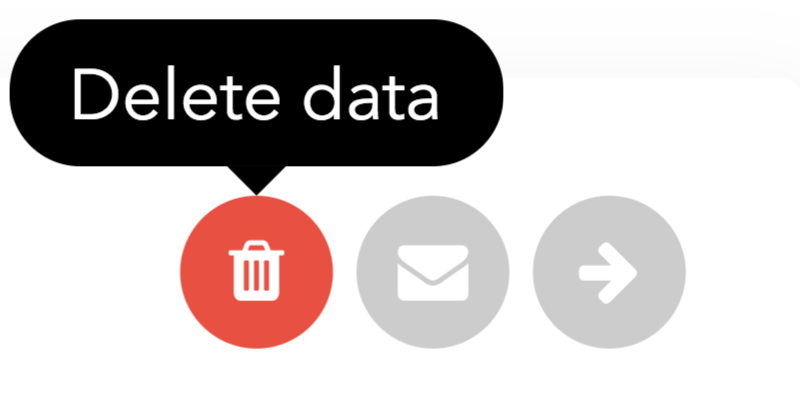 Upon request from a Guest Wi-Fi User to delete their personal data, MyWiFi will ensure that the relevant personal data is erased to the best of our abilities. 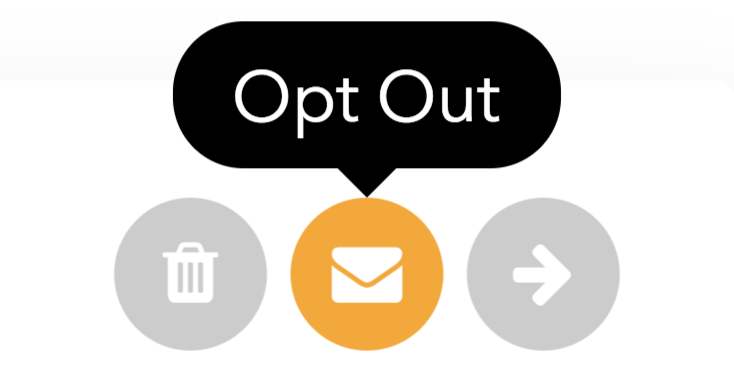 Upon deletion request, it is the responsibility of each Channel Partner to work with any relevant third parties (including but not limited to Automations set up in the platform) to make sure that they delete or anonymise the Users personal data.